Science is continually looking for ways to improve our oral health, and specifically to prevent things like gum disease and tooth decay. Although some fad products come and go, and the alleged benefits often have very little basis in scientific fact, a new study in Ireland may have discovered that coconut oil holds some important properties that really can improve oral health. The study, conducted at the Athlone Institute of Technology in Ireland, looked at natural, non-chemical additives that could help boost the effects of things like toothpastes and mouthwashes. Over the course of the study, it was found that when coconut oil is treated with digestive enzymes, it is extremely powerful at killing streptococcus mutans, the bacterium that lies behind cavities and tooth decay. This information is potentially very important, as tooth decay is common even in otherwise healthy adults. If treated coconut oil can help fight the bacteria that cause tooth decay, then this could lead to a future of coconut oil being used as a natural additive to toothpaste, possibly replacing mint as a flavoring. 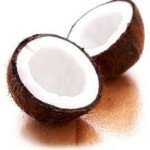 However, don’t look for coconut oil dental products to be on drug store shelves anytime soon. The research is still in the early stages, and although everything is looking positive, much more research and testing needs to be done before coconut oil can be sold as a preventative treatment for tooth decay. Luckily, this research is already getting under way, and preliminary findings are showing that the treated coconut oil may also be good for other things. Not only does it stop streptococcus mutans from sticking to the teeth, it can also help fight oral candidiasis, yeast infections of the mouth and throat. One of the great things about the coconut oil treatments is that they work even with relatively small amounts of coconut oil. Also, they’re a great alternative to antibiotics, as many of the microbial infections are now becoming resistant to antibiotic treatment. In addition, the research may help teach scientists about bacteria-fighting properties of enzyme-modified food throughout the body, not just in the mouth. In addition to helping prevent cavities, the coconut oil treatments could eventually be used to combat digestive illnesses and other diseases outside the digestive system. In other words, the future is looking bright for coconut oil, and this is potentially very good news for your health and your teeth.